How Can I Contact Spalding.com? Feedback: Click here to send us comments or inquiries. Why should I create a Spalding.com MVP account? What are the exclusions to the Spalding MVP Coupon Code? The 25% off Spalding.com offer for joining Spalding MVP is valid on full-price merchandise for 30 days from receipt of the confirmation email. Valid only on Spalding.com on orders shipped within the continental U.S. Valid on a single receipt purchase of in-stock merchandise only, while supplies last. Offer not valid on the purchase of CarbonTek Shoulder Pads, CarbonTek Shoulder Pad Accessories, Dudley Softball bats, Spalding basketball hoop systems, and the Limited Edition Spalding 94 Series. Offer cannot be combined or used in conjunction with any other promotion, discount or coupon code. Not redeemable for cash, non-transferable and cannot be replaced if lost or stolen. Excludes taxes and shipping and handling charges. Spalding and Fruit of the Loom, Inc. employees are not eligible for this discount. Other exclusions may be added at anytime. Click the “forgot password” link on the account login page and enter your email address to receive a password to reset email. When your order ships, you will receive a confirmation email with a tracking number. Some orders will ship in multiple boxes with their own individual tracking codes. If you were logged in to your account when you made your purchase, then you can track your order by logging in to your account and visiting your order history or click here. No, you cannot edit your order once it has been placed. Spalding will begin processing your order immediately upon receipt, therefore we are not able to cancel or change your order once it has been submitted. If you decide that you want to return your order, please fill out the returns form that is included in your shipment for a refund. Why are some items on Spalding.com not available for order? Due to the size of some Spalding.com products, we are unable to place certain orders. We are working to have the full Spalding.com product selection available for order soon. In the meantime, please visit the where to buy page for a full list of retailers near you. Why can’t I purchase CarbonTek and Spalding products in the same transaction? CarbonTek and Spalding products are manufactured and shipped from different locations, and therefore need to be purchased in two separate transactions. See Shipping for details. To purchase, you can remove either the Spalding products or CarbonTek products from your cart and make the transaction. A second transaction will need to be made for the removed products. Spalding.com accepts Visa, Mastercard and Discover. We do not accept checks, cash or credit vouchers. Spalding does not offer gift cards at this time. You can select shipping options on Spalding.com during check out. Orders placed Monday to Friday (excluding holidays) are shipped within 1-2 business days. Any orders placed over the weekend will ship on the next business day. See the table below for estimated shipping times and costs. * Price may vary depending on site promotions. * Shipping times may vary during high volume order periods; see delivery method in checkout for accurate shipping times. * Shipping to P.O. Boxes via SmartPost only. * Spalding basketball hoop systems only ship within the continental United States, and do not ship to Alaska, Hawaii, the US Virgin Islands, or Guam. Spalding.com does not ship CarbonTek® Shoulder Pads to Alaska, Hawaii, the US Virgin Islands or Guam. CarbonTek® only ships within the continental United States. Spalding.com does not ship internationally. No, Spalding.com does not offer exchanges. If you need to exchange an item, please return your item using the returns form in the shipment, and place a new order. Will I be charged for the refund? A returns label has been included with your order. The cost of using the prepaid label is $7.99, which will be deducted from your refund. You will be refunded for the merchandise total, plus applicable sales tax paid. If you return any part of an order that was part of a promotion, your refund may be reduced. Shipping and handling charges are not refundable unless you receive a defective or wrong item. Returns shipped by a delivery service of your choice will not be reimbursed. Refunds will be remitted in the same form as the original purchase. Please allow 14 business days for us to process your return and 1 to 2 billing cycles for the returns credit to show up on your credit card statement. How can I register my basketball system? To register your basketball system please complete the following product registration form. What is the warranty period on a SPALDING® basketball system? The warranty periods vary depending on the model you purchased. See the warranty information page to learn more about our warranty program. How do I claim a warranty for my Basketball System? Please use the warranty claim form to claim your basketball system warranty. 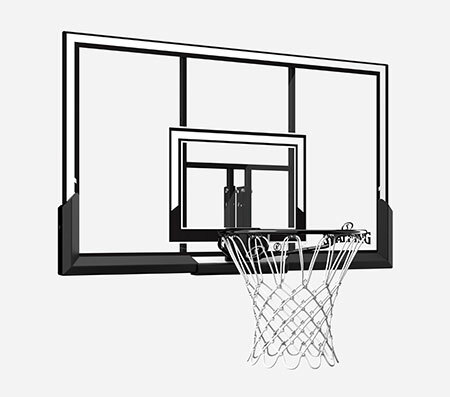 The warranty with respect to the inflation of the NEVERFLAT® basketball does not apply if the black valve cap is removed or if air is added or released using the inflation needle within one year after purchase. Other restrictions may apply. For further NEVERFLAT® basketball warranty details, please see the product packaging or contact Customer Service any time via spaldingcustomerservice@fotlinc.com. or by calling 1-800-772-5346, M-F, 8am-4:30pm CST. For warranty claims related to defects in materials or workmanship, please contact the CarbonTek® football shoulder pads Customer Care team at 1-877-879-8410, or any time by email at info@carbontek.com. If you are looking for a Spalding product manual, visit our online manual finder. To download Spalding and Diamond catalog PDFs, please visit here. 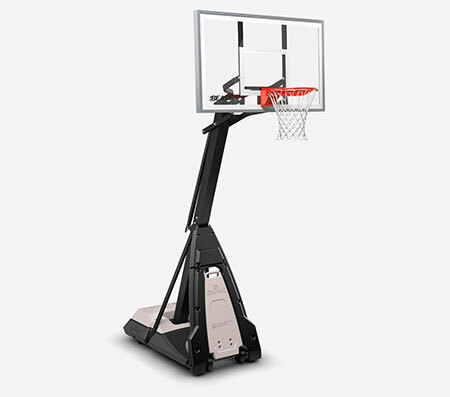 You do not necessarily have to buy a new basketball goal. 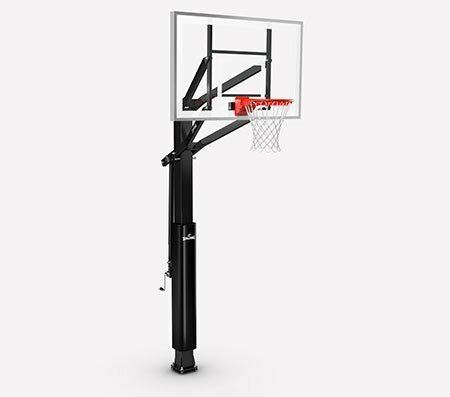 Call us at 1-800-558-5234 (M-F, 8am - 5pm CST) to order replacement parts for your basketball goal or to inquire about warranty coverage. Does SPALDING® sell replacement parts and how can I order parts? Can I order replacement parts online? Can I place a P.O. and be billed for my parts? We accept all major credit cards or you can mail a check. We cannot create a purchase order and bill you for the parts order. Will someone need to be home to receive a parts shipment? SPALDING® parts orders are shipped via FedEx and there is no signature service attached. FedEx will leave your package at your door if you are not home at the time of delivery. Do retailers carry replacement parts? Due to the high volume of requests we receive, we require all submissions be routed through an online process. By submitting your request online, we are able to evaluate your request and respond with a decision in a timely manner. Please note that we no longer accept requests via email, fax, or phone.